I would love to be able to snooze conversations for a month. 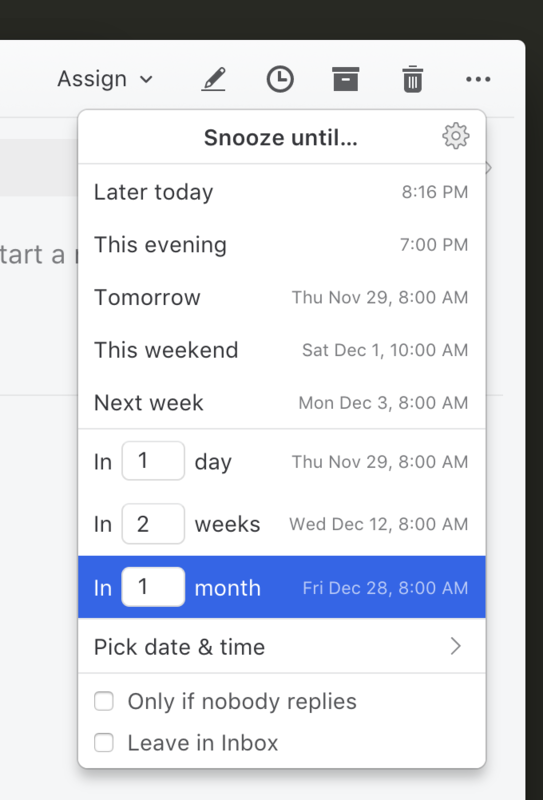 It's possible if you open the snooze calendar. You would prefer a "In a month" entry in the context menu ? Yup, I know, but it would be useful to have it as an entry in the context menu. In fact, having those configurable would be awesome, but for now "In a month" or something like that would be great!